October at Poets House was jam-packed with tributes, readings, talks, and conversations. If you missed these programs or would like to revisit them, no problem! We invite you to tune into our audio recordings. Anne Carson illuminates the concept of stillness in poetry and art, from Homer to Robert Rauschenberg. 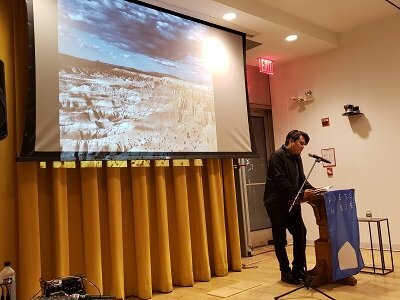 Sherwin Bitsui discusses contemporary Diné poetry and his own long poems. Forrest Gander speaks on C.D. Wright’s One with Others, a book-length poem that examines civil rights struggles in small-town Arkansas. Jos Charles examines Chaucer’s The House of Fame and its connections to contemporary issues. Biographer Langdon Hammer joins poet and critic Stephen Yenser to investigate The Book of Ephraim by the late poet James Merrill, who composed the volume using a Ouija board. Mahogany L. Browne, Rosamond S. King & t’ai freedom ford explore the life and work of civil rights advocate, lawyer, and poet Pauli Murray. 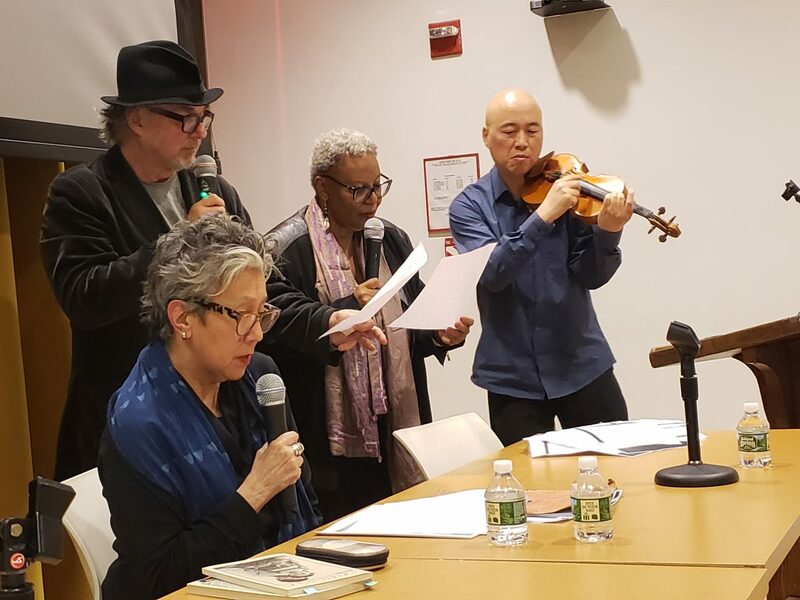 Bob Holman, Patricia Spears Jones, and Jessica Hagedorn remember and read from the work of Fay Chiang, a community activist and poet of New York City’s Lower East Side. Ellen Bass, Natalie Diaz, Florence Howe, Marie Howe, Aracelis Girmay, Donna Masini, Saretta Morgan, and Alicia Ostriker pay tribute to the feminist landmark anthology No More Masks! : An Anthology of Twentieth-Century American Women Poets, first published in 1973. Meena Alexander, Ram Devineni, Arundhathi Subramaniam, and Vijay Seshadri read and discuss Indian poetics in celebration of the anthology Name Me a Word: Indian Writers Reflect on Writing. We’ll keep you posted on highlights and additions to our audio archive. 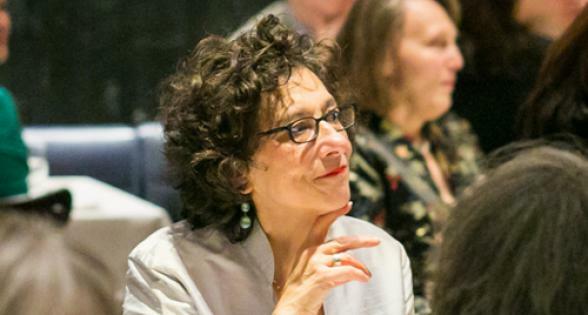 In the meantime, we also invite you to explore older recordings, from Emily Wilson on The Odyssey to Elizabeth Alexander discussing Lucille Clifton to a celebration of Octavio Paz to craft talks by Natalie Diaz and Jericho Brown, and so much more! Enjoy!